“MASHROOMS: was born in 1999 in Siracusa, a nice seaside town lying on the southern east coast of Sicily. The first four element’s sound was affected by the beauty and the brutality of our land. And because of this ambiguity the initial project was struggling to find its own identity. After 14 years Mashrooms is however more alive than ever and ready to give birth to its fourth album in studio. "BALENA":scarred the fourth chapter of'the discographic saga of Mashrooms.Released last December on Wild Love Rec (ITA),New Sonic Rec (ITA) and Pied de Biche Rec (FR),this latest work comes three years later than the album that took the title from the band itself and that announced the return on stage with a new shape.'' The album,recorded live and in a fully analog way at the Low Swing Studio Berlin by master and friend David Lenci, includes nine compositions that putting slightly aside the post rock whiff, focus more on an instrumental rock with no labels,where acoustic instruments find themselves to have a central role (violin, cello,trumpet,piano).'' Among the classic musical aspects of'North American post rock mold,in this new album, Mashrooms make use of sound patterns and rhythms typical of the classical,balkan and celtic music which test the stylistic and musical experience of the individual members of the ensemble. The result is a perfect bond between rhythm section and harmony parts that,as in big bands,can offset each other.From distorted and sharp sounds to shades and atmospheres of soundtracks,the next tour will give birth to an intense and organic' live performance that takes the listener on a journey of no return in the name of psychedelia.'' 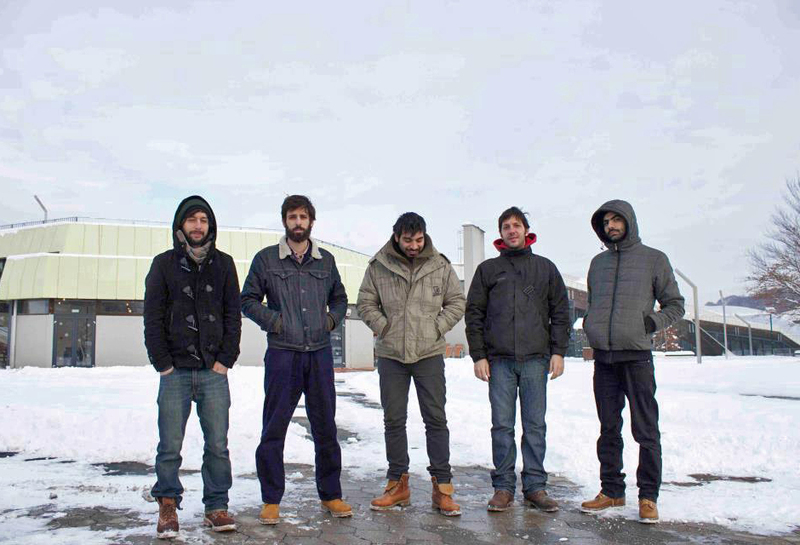 Although based in Berlin,the quintet coming from Siracuse,Sicily does not want to forget his homeland which is always a resource,a source of inspiration and has made the group become a central reality for the independent music scene in Sicily as well as in Italy. WAVES ist eine Postrock-Band aus München. Mit einem Stil, der laute, beklemmend wie befreiend wirkende Teile mit leisen, zerbrechlichen Melodien und Elementen vereint, haben Waves eine Sprache gefunden, ihrer musikalischen Leidenschaft Ausdruck zu verleihen. Eine Leidenschaft, welche sie auch schon im Vorprogramm von Szenegrößen wie Caspian oder Russian Circles zeigen konnten.